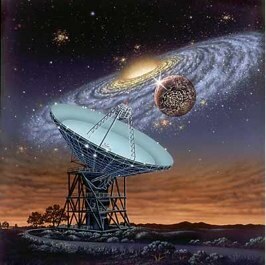 SETI is officially back online, listening to the stars for intelligent, presumably chatty, life. The project ended a seven month dark period caused when former partner the University of California at Berkley pulled out due to budget cuts. Faced with a world where cries from alien civilizations could fall on deaf ears, the institute decided to ask for public donations. $230,000 later, we have our ears back to the train tracks. The focus now as it was before the shut down are alien planet candidates observed from the Kepler telescope. 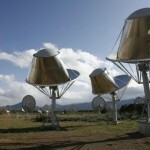 SETI (Search for Extra-Terrestrial Intelligence) is out of money and is no longer listening for alien signals. Aliens, you win this round; you may commence snooping around the solar system and broadcasting at will. You are currently browsing the archives for the SETI category.